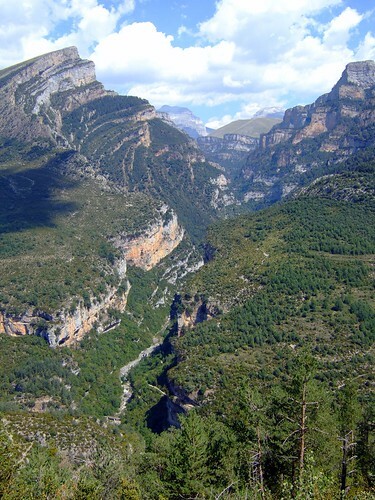 Time to leave Torla behind and see some other parts of the Parc Nacional de Ordesa y Monte Perdido. First stop is Valle de Añisclo and we do a short route here. See the Ermita de San Urbez although we’re left wondering about the history behind it because our Spanish isn’t up to much. Camp in the Pineta valley, after hearing cracks of thunder we decide that perhaps guy ropes might be a good idea after all and get safely inside the tent just as the downpour begins, the thunder’s not loud enough to stop me sleeping though!